LACONIA, NH- Sheldon MacKnight, 93, formerly of Orange, New Salem, and Athol, Massachusetts, passed away peacefully January 19, 2019, at Belknap County Nursing Home in Laconia, New Hampshire where he has resided the past five years. He was born in Orange, Massachusetts on November 12, 1925, to G. Ralph and Evangeline (Coolidge) MacKnight. 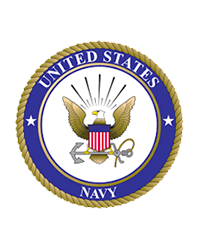 He graduated from Orange High School in 1943 and later enlisted in the United States Navy where he served from August 11, 1943 to May 18, 1946. Sheldon married Audrey Stange of Warwick, Massachusetts on March 29, 1947. He was employed at the L.S. Starrett Company and Massachusetts Department of Natural Resources. During retirement, he and Audrey enjoyed taking many trips to visit friends and family. He was predeceased by his parents, his infant son Sheldon II, his brothers Harding and Clinton, his sister Elaine Codding, and his son-in-law Jerry Nelson. He is survived by his wife Audrey of Laconia, New Hampshire, daughters Linda Nelson and Karen Mountain (husband David), both of Center Barnstead, New Hampshire, and son Steven (wife Barbara) of Montague, Massachusetts. He also leaves grandchildren Katie, Ryan, Tara (partner Shurldin), and Tyson (wife Ashtyn),and four great granddaughters. He also leaves step grandsons Troy and Todd (wife Tammy); and a brother, Arlan MacKnight and his wife Mary Lou of Contoocook,NH. A celebration of life will be held on May 11, 2019 at 10:30 a.m. at Witty's Funeral Home, 158 South Main Street, Orange. Witty's Funeral Home, 158 South Main Street, Orange, Massachusetts, is assisting the family. There's still time to send flowers to the Celebration of Life at the Witty's Funeral Home at 10:30 AM on May 11, 2019.